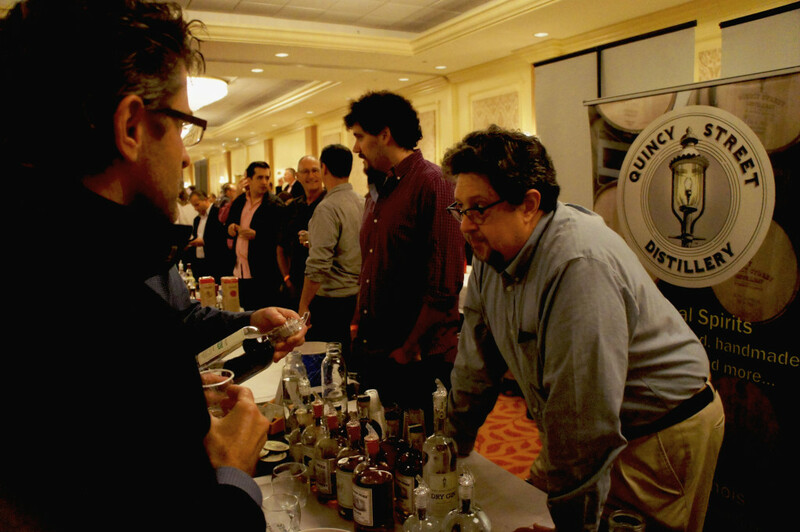 Many of those involved in the Good Food movement believe that craft distilling deserves to be considered part of it. 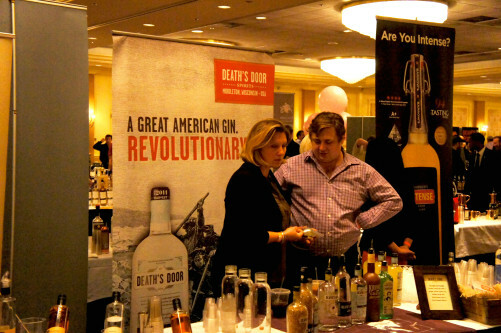 Most start-up distilleries are entrepreneurial and artisan businesses, which Good Food advocates seek to encourage. And many are local, in the sense that they work to develop local and regional markets before they scale up and reach out to other areas. 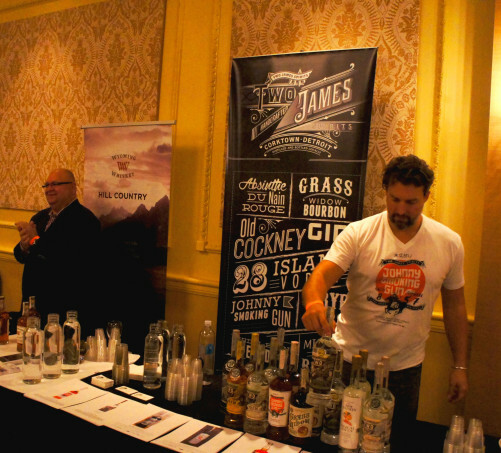 One question that has often nagged at this industry sector, though, is whether a distilled spirit needs to contain ingredients produced by local farmers in order to be considered truly local. 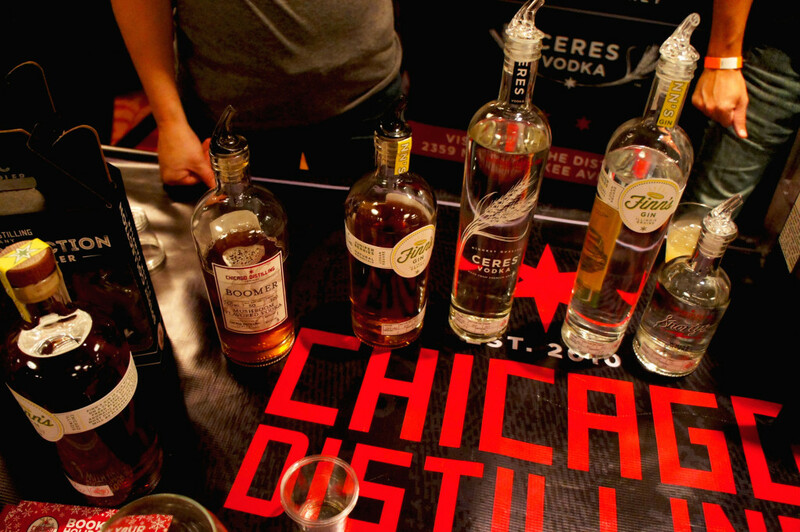 There have been distilleries that have led the way on this issue, such as Koval, the distillery that played a key role in creating a spirits-making industry in Chicago when it became the city’s first licensed distillery since Prohibition in 2008. Koval uses locally sourced ingredients that are also certified organic and kosher. But if you cruised the tasting floor at the annual Chicago Independent Spirits Expo on Sept. 30, it was hard not to notice how many more distilleries are touting local ingredients as selling points for their products. The following is a photo essay that underscores the point. Good Food on Every Table will follow up soon with an analysis of trends in craft distilling, based on the thoughts of industry leaders shared at the Expo. All photographs are by Bob Benenson/FamilyFarmed. Chicago Distilling Company, located in the city’s Logan Square neighborhood, uses organic grain grown in Illinois in its whiskey, gin and vodka. 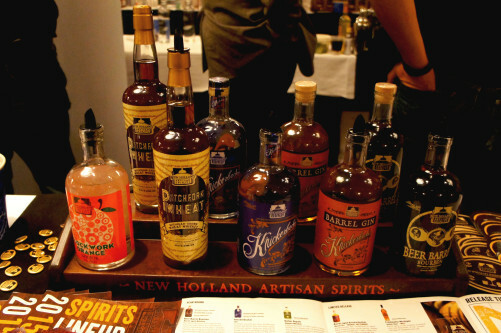 Death’s Door of Middleton, Wisconsin — one of the nation’s most established craft distilleries — emphasizes grain and other ingredients grown in its home state, much of them on Washington Island in Lake Michigan. Mississippi River Distilling Company, which makes Cody Road whiskey and other products in LeClaire, Iowa, says it purchases all of its grain from farmers located within 25 miles of the distillery. 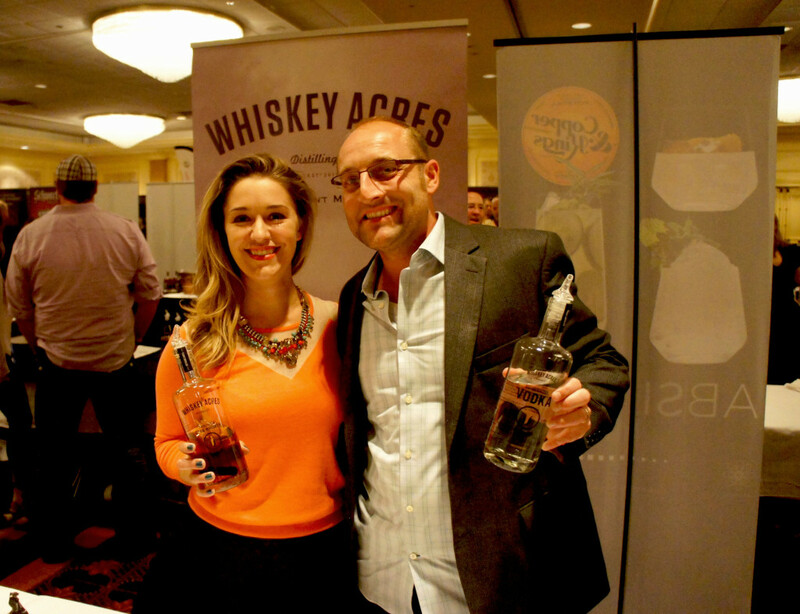 In a throwback to the earliest days of distilling in America, Whiskey Acres of DeKalb, Illinois is located right at the farm that grows the grain used in its products. Honey from nearby Harvard, Illinois, which goes into its Prairie Sunshine distilled mead, is among the local ingredients used by Quincy Street Distillery of Riverside, a Chicago suburb. 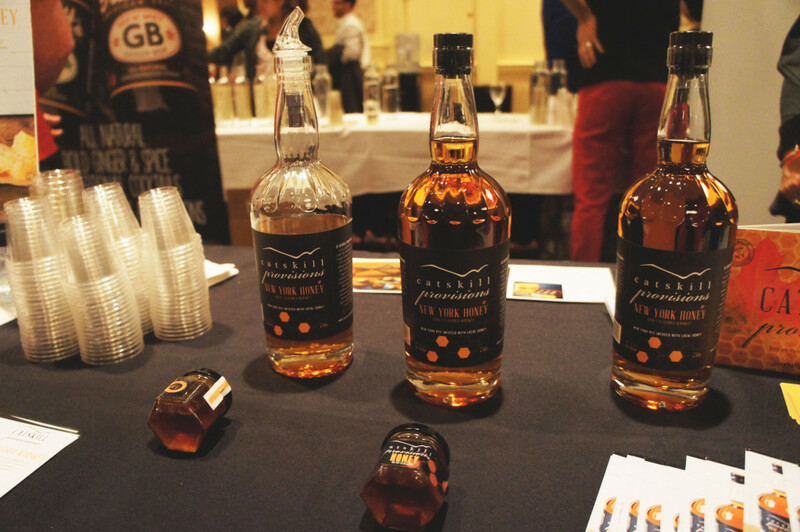 Catskills Provisions of Long Eddy, New York, touts its use of homestate honey on the labels of its whiskey bottles. 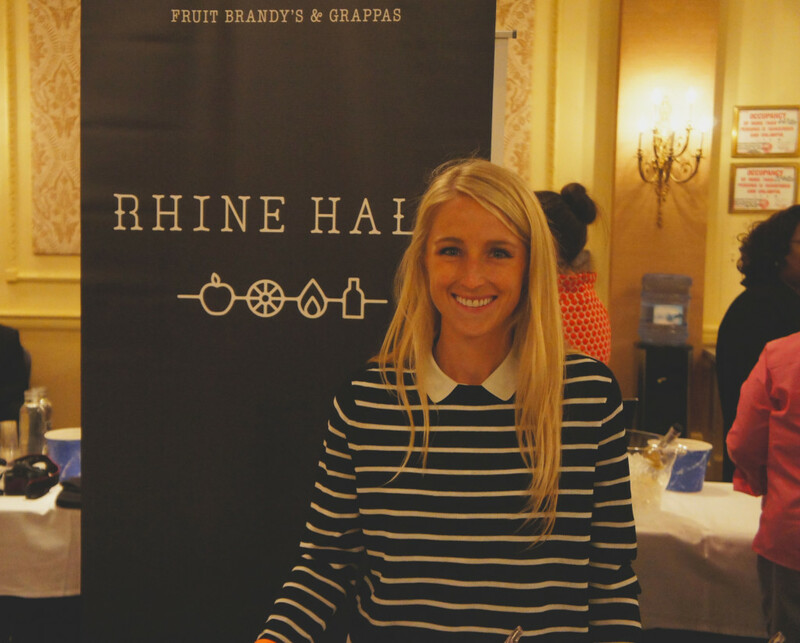 Rhine Hall, located just west of downtown Chicago, uses fruit from Michigan (part of the city’s foodshed) in its apple, peach, pear and plum brandies. 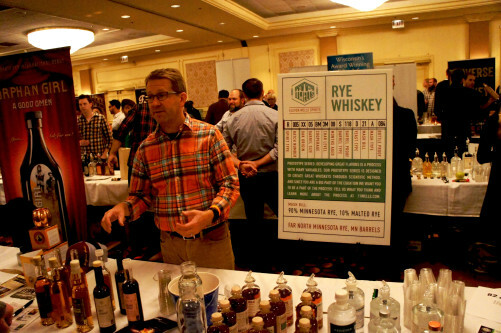 Among the local ingredients used by Two James Spirits — Detroit’s first distillery since Prohibition — is rye from a farm in nearby Ann Arbor that goes into its Rye Dog White Whiskey. Local ingredients used by New Holland of Holland, Michigan, include wheat, grown in its home state, that goes into its Pitchfork Wheat Whiskey. 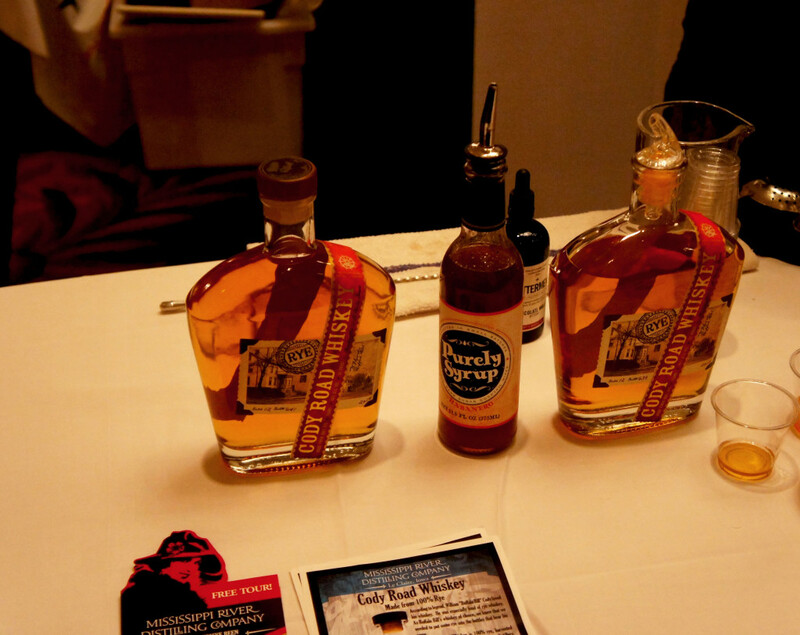 The year-old Eleven Wells Spirits Company of St. Paul, Minnesota makes a 100 percent rye whiskey that is made from grain grown in the northern part of the state. This entry was posted in Bourbon, Craft beverages, Family Farms, Food Artisans, Food Entrepreneurs, Good Food business development, Good Food Festivals, Good Food marketing, Good Food Photos, Good Food tasting events, Independent Spirits Expo, Local Food, Spirits and tagged Catskills Provisions, Chicago Distilling Company, Chicago Independent Spirits Expo, craft distilling, Death's Door Distillery, Eleven Wells Distillery, Good Food movement, Koval distillery, Local distilling, Mississippi River Distilling Company, New Holland distillery, Quincy Street Distillery, Rhine Hall Distillery, Two James Distillery, Whiskey Acres Distillery. Bookmark the permalink.